Most of the people often misjudge page speed with website speed. They both are different from each other. Website speed is actually the page speed for a sample of page views. 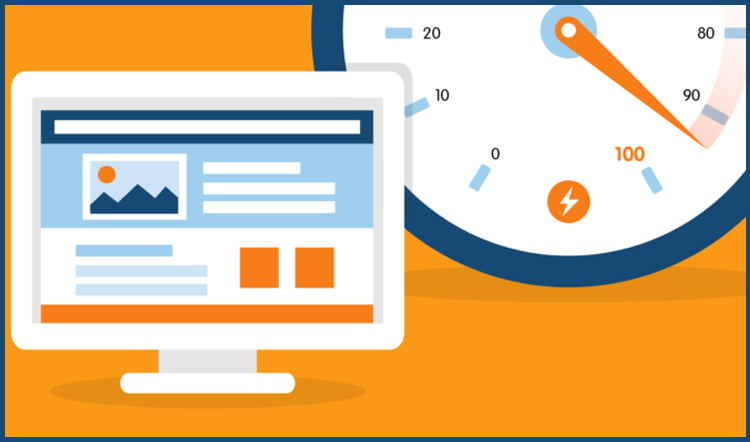 Page speed is something that can be described as the time that it takes to completely display the content of a particular page or the time that your browser takes to receive the first byte of the information from the internet browser. The page speed of your website can be easily evaluated by using the Google’s PageSpeed Insights. This Insight incorporates the data from Chrome user experience report and reports in on the basis of two speed metrics i.e. DOM Content Loaded (DCL) and First Contentful Paint (FCP). Google already announced that Page Speed is one of the major signals used by its algorithm for ranking the pages. According to some research which has been done recently, Google might have been measuring the time for the first when it considers the page speed. Adding to that, a slow page speed means that the search engines can only crawl to a few pages and this could affect your efforts in a negative way. Page speed has also been known to be important for the user experience. The web pages that take too much time to load are known to experience higher bounce rates on the page. The longer the loading time, the lesser will be the conversions. How to increase your Page speed? The experts in the industry have mentioned that you can effectually increase your page speed by regularly optimizing your codes which includes the removal of commas, spaces and the other filler characters. You can even remove the formatting, comments and the unused code. Google highly recommends the use of UglifyJS and CSSNano. -Your visitor has to face some additional time waiting whenever a page redirects to another page. It takes a few more seconds for the completion of the HTTP request-response cycle. Too much of redirecting can make your page load speed slower. The time of your server response easily gets affected by the amount of traffic your website receives, the software that your server uses, the resources used by your web page and the hosting solution that is being used. For improving the server response time, you should look for the performance barriers such as slow routing, slow database queries or a lack of memory. Fix them as soon as possible. Make sure that your server response time remains under 200ms. Make sure that the images you use are not larger than they actually need to be. They must be in the correct format and are perfectly compressed for the web. You should use the CSS sprites in order to create a basic template for the images that you regularly use on your websites like icons and buttons. This tool combines your images and forms it in one large image that can be easily be loaded at once. You must display only the sections that you actually need to show. This is one of the best ways how you can increase your page speed and save the loading time by not making your visitors wait.